Stunt pilot David Glen Riggs, who lost his license in connection with a fatal Boulder City air crash in May 2012, died after his plane crashed into a lake in northeast China on Sept. 17. Riggs, whose body was recovered Friday, died piloting a home-built single-engine Lancair 320 while rehearsing in light rain a stunt for an air show. His passenger, an 18-year-old woman student serving as a translator, was pulled from the wreckage on Caihu Lake, outside Shenyang, the capital of Liaoning Province. She died later at a local hospital. The event’s commander-in-chief told Xinhua news agency that the plane had made three trial flights before the fourth, fatal one. Parts of the kit-plane had been taken to China and assembled at a nearby airport for this weekend’s aviation festival. Riggs was flying in China after having his license revoked in November by the Federal Aviation Administration when his business partner and a customer died in an unsanctioned commercial flight crash at the Boulder City Municipal Airport on May 18, 2012. The FAA issued an “emergency order of revocation” on Nov. 13 ordering Riggs to surrender his commercial pilot’s license after determining “an emergency exists related to safety in air commerce” because of the “nature and seriousness of the violations” stemming from the fatal crash. Pilot Douglas E. Gillis, 65, of Solano Beach, Calif., and passenger Richard W. Winslow, 65, of Palm Desert, Calif., died after their military-style Aero Vodochody L-39 Albatros went down in the desert at 12:18 p.m. May 18. According to the FAA’s order, Riggs told safety inspectors in Van Nuys, Calif., that he was “not carrying passengers for compensation or hire” less than two weeks before the crash. However, according to the FAA’s investigation, Riggs had flown three separate passenger-carrying flights for compensation in his Aero Vodochody L-39 aircraft in formation with aircraft piloted by Gillis out of the local airport before the crash, and was scheduled for a fourth flight that day. 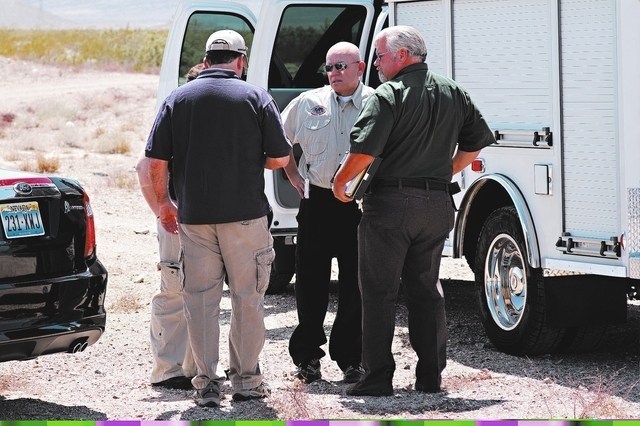 According to a preliminary accident report issued June 6, 2012, by the National Transportation Safety Board, the two planes were being used for flight packages bought by eight people to fly from Boulder City for 45 minutes. At the end of the flight, the passengers would be provided a film of the flight. Companies named Incredible Adventures and Mach 1 Aviation operated the flights, according to the NTSB report. Incredible Adventures’ website advertised flight and film packages starting at $2,950, which includes flight plan consultation, rental of production equipment, all flight costs and raw video footage. A shoot of the video in Las Vegas is $4,950. The passenger looked out the window and saw the accident jet in a right turn, then saw it flatten out followed by a puff of dirt. The passenger saw the aircraft go underneath a set of power lines before crashing. The debris field from point of impact to the wreckage was 480 feet. Federal safety investigators noted a 4-foot-deep by 20-foot-wide crater just behind the plane. The NTSB has yet to release a final report. 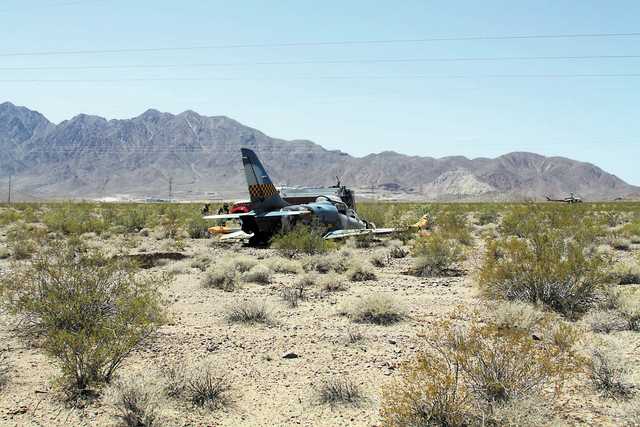 The Boulder City crash was the second time Riggs’ civilian airmen certificates had been revoked by the FAA. The first time was effective for a year after he buzzed a crowded Santa Monica, Calif., pier in 2008. In 2006, Riggs’ friend and former military pilot Stephen Freeman, 32, of San Diego, was killed trying to land an L-39 Albatros in Ketchikan, Alaska, that he was trying to repossess for USA Air Inc., headquartered in Quincy, Ill. The camouflage-painted plane had been registered in Las Vegas. While investigators converged on the Ketchikan mobile home park where the L-39 crashed and burned after Freeman tried to eject, Riggs of Los Angeles told The Associated Press that Freeman had been working part time for USA Air. He said Freeman, a Marine veteran, had taught him how to fly L-39s and had spoken to him a few hours before the crash. “He said ‘I will see you in a couple days,’ ” Riggs said. According to media accounts citing witnesses of Riggs fatal crash in China, he was attempting a water-skimming stunt over a lake in the rain when the landing gear or another part of his Lancair plane got caught in the water and broke apart. The Las Vegas Review-Journal contributed to this report. Arnold M. Knightly is the former editor of the Boulder City Review and can be reached at aknightly@lvcitylife.com.